Some days you do an activity in the classroom that just works incredibly well and you walk away thinking "AWESOME". I had that experience today. Today my 8th grade history students in Liberty, Missouri were able to take a visual field trip to the National Constitution Center in Philadelphia and participate in a tour given by National Constitutional Center Education Director Eli Lesser. We used Google's new Video Chat feature - it was very easy to use and we had a quality picture. 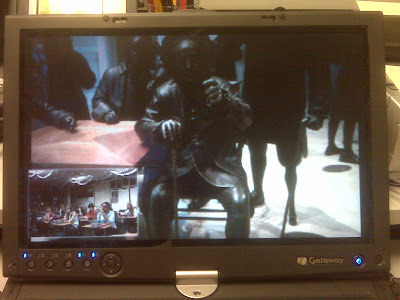 Eli used his laptop and a web cam to move around Signers Hall at the National Constitution Center. He told stories about the statues in the hall while showing my students specific details. He answered questions as they raised their hand in my class. It was incredible. 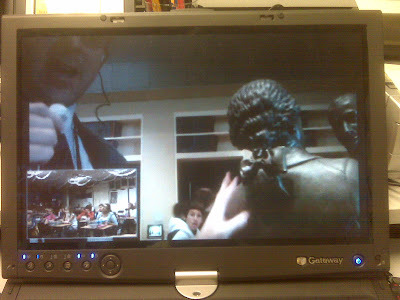 I know this is not a ground breaking event - many classes participate in video conferences every day, but I found it amazing that all we needed to make a connection was a G-mail account, a web cam and one click. Very impressive. 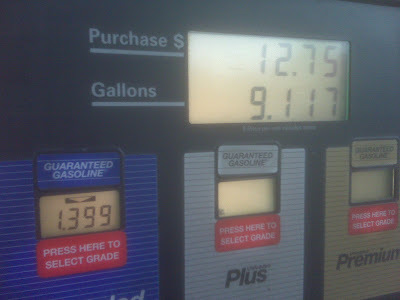 If this is possible with minimal effort, what else can be accomplished with this application? Wow. I talk about today's experience in the podcast and I recorded the experience with my Flip camera from the back of the room. I have uploaded a 7 minute segment from the video experience to You Tube and have embedded it below. 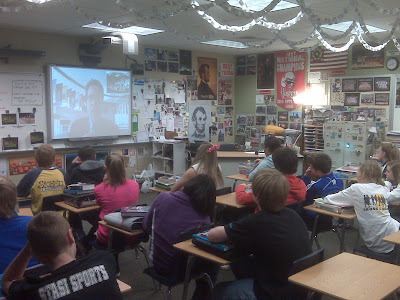 I would like to thank Eli Lesser for taking time out of his day to participate in this activity with my students. 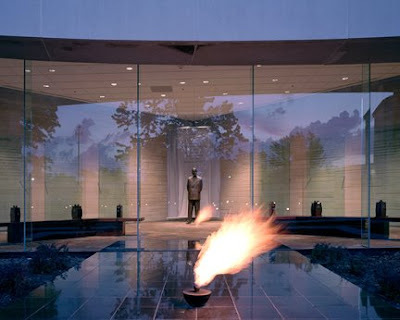 I would encourage all history teachers to sign up for the National Constitution Center educator newsletter to stay informed about all upcoming activities and events. Last Chance to Nominate and Apply for 2009 Cable's Leaders in Learning Awards Application Period Ends at Noon PT on December 17th Washington, DC – The application deadline for Cable’s Leaders in Learning Awards is only two weeks away. Applications are being accepted through December 17th from individuals who implement creative learning programs in their communities, helping to push education progress to new heights. The annual program recognizes outstanding educators, administrators, policymakers, and other leaders at the forefront of innovation in education. 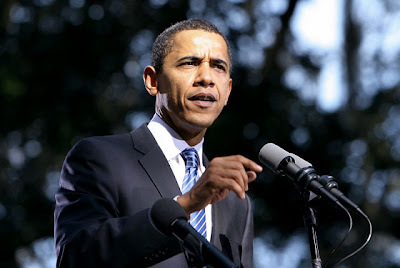 The application period ends Wednesday, December 17, 2008 at 12 noon PT. Applications can be submitted online only via www.LeadersInLearningAwards.org. A podcast discussion about the application process is also available on the awards website for those considering applying. Cable’s Leaders in Learning Awards recognize a broad array of innovators, including:* Highly inventive classroom educators, administrators, community leaders, and policymakers who are transforming education from pre-kindergarten through high school. * Those who have had a major impact on educating youth both in and out of the classroom. * Those who have adopted innovative learning practices that have transformed an aspect of education on a large or small scale. In addition to national and local recognition, winners receive:* A $3,000 cash prize* An all-expense-paid trip to Washington, DC in June, 2009 - While in Washington, award recipients will visit with members of Congress to talk about their award-winning programs. - Winners will attend an awards ceremony with policymakers, government officials, national education leaders, cable executives, and other VIPS. 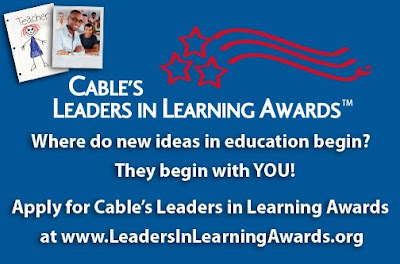 Cable’s Leaders in Learning Awards, administered by Cable in the Classroom, recognize innovative programs in several categories including: General Excellence, Cable Partnerships for Learning, and Media Literacy Education. For more information, please visit: www.LeadersInLearningAwards.org. Cable in the Classroom (CIC), the cable industry's education foundation, works to expand and enhance learning opportunities for children and youth. Created in 1989 to help schools take advantage of educational cable programming and technology, CIC has become a leading national advocate for media literacy education and for the use of technology and media for learning, as well as a valuable resource for educational cable content and services for policymakers, educators and industry leaders. For more information about Cable in the Classroom, please visit: www.ciconline.org. Hello. 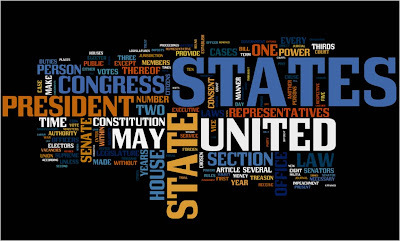 Today's podcast is a quick one about using the application Wordle in your social studies class. Wordle is a web based application which allows you to create a word cloud from a sample of text. You can manipulate the colors, shape, font, etc. to make a really cool visual represenation of text. 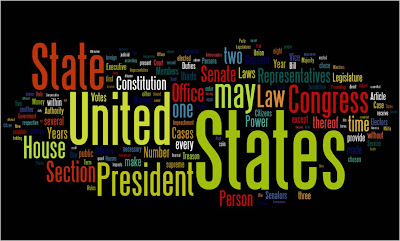 Since we are studying the United States Constitution right now in class I create two "Wordles" composed of the text of the Constitution. I think they look pretty cool and my 8th graders thought they were awesome. Listen to the podcast to learn a little more about using Wordle in your social studies classroom. 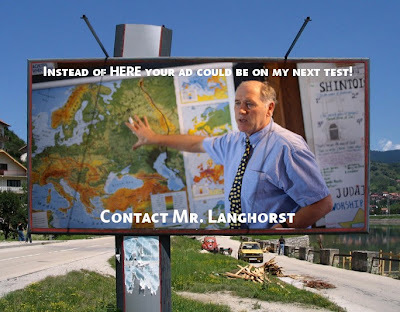 An enterprising math teacher in California is selling ad space on his math tests. Wow. I wonder if this will catch on? Hello. Today's podcast is a very quick review of a free online application called "Read The Words". Many of you are probably already familiar with this application but I wanted to do a quick podcast to let everyone know about it. 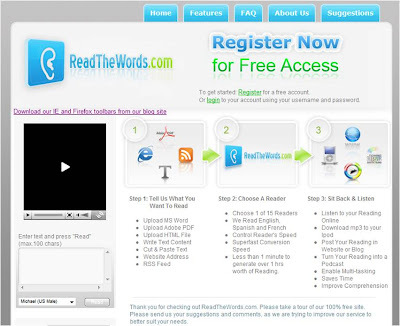 Read the Words allows you to convert word documents, PDF files, blogs, web sites, etc. into MP3 audio files. I think this application has some powerful potential in the classroom. Please let me know what you think of this application by leaving a comment to this blog entry. I would also be interested in any comments from teachers who have already used Read the Words in their classrooms. Several weeks ago I was in New York with the other state teachers of the year and attended our last activity as a group. We were the guests of Pearson and had the opportunity to create a short video answering the question "Why Do I Teach?" It was a great experience as each of us created a short video in one afternoon of work. 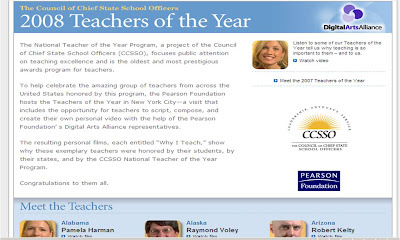 The videos of all the 2008 state teachers of the year are now posted online. I encourage you to visit the site and view some of the videos. Over the past 10 months this group of teachers became incredibly close and I have enjoyed viewing each of the videos and recalling conversations I have had with each of them. These teachers have so much to share and hearing their stories is truly inspiring. I would like to thank Pearson for the opportunity to capture our stories and allow us as a group to experience digital storytelling. Pearson also provided each of us with a Flip videocam to use for future projects and I have truly enjoyed using this device which I think should be in the hands of each teacher in America. Hello. 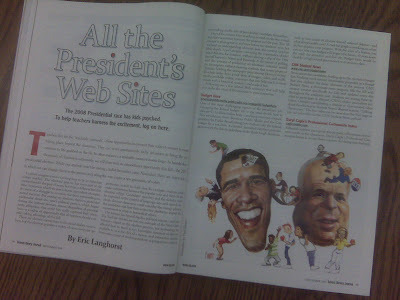 Hope everyone is enjoying Election Day 2008. I woke up around 5:00 AM and took my 5 year old daughter with me to vote. We were in line at 5:45 AM, polls opened at 6:00 AM and we were on our way home at 6:45 AM. Not too long of a wait and everyone was pleasant. The students of South Valley Junior High School here in Liberty, Missouri participated in the Kid's Voting Project taking place across the Kansas City. Our results will be available on Tuesday night here. I'm participating in the US Voting project with the students of Diana Laufenberg of the Science Leadership Academy in Philadlephia, Pennsylvania and Kyle Steven's students at the Bishop Dunne Catholic School in Dallas, Texas. Here is my video report on how the voting went this morning. Forty-five years ago today, Martin Luther King Jr. gave his famous "I Have A Dream" speech on the steps of the Lincoln Memorial. Today I would like to share one of my favorite pictures of my daughter on our last trip to DC when she stood on the spot. She had learned about the speech in her preschool class and it was a very cool "dad moment" to be able to tell her this was the exact location. In light of the political events occuring today, it does make me pause to think about how much, or if, we are making progress and how we will look back on this moment 45 years from now. Podcast #157 - Could the Google 20% Principle Work in the Classroom? Hello. Today's podcast is a carcast in which I discuss the possible use of Google's 20% principle in the classroom. How would it work and would it be possible. Just some random thoughts to start off the new school year. Hello. Today's podcast is a quick carcast recorded as I drove across Nebraska on a recent family vacation. 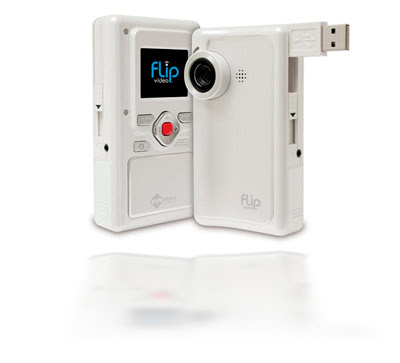 It is a short review of the Flip video camera - which I think would be a great purchase for any teacher. If you have used a Flip in your classroom please leave a comment to this post and share your ideas. In the podcast I mention it would be a great tool for administrators as well. Hello. Today's podcast is a presentation from the 2008 International Teacher Space Camp by Grace Corrigan (mother of Astronaut Christa McAuliffe). It is great presentation about the life of Christa and what it meant for her to represent teachers in space. I was not aware until listening to Grace that Christa was a history teacher and had a very interesting approach to how she taught history to her students. Grace also gave us a copy of her book - A Journal for Christa. I have started it and highly recommend it to all teachers. Hello. Today's podcast is a recap of the 2008 International Teacher Space Camp. The camp was a collection of the state teachers of the year and about 30 international teachers from around the world. As we attended the week long camp in Huntsville, Alabama we studied rockets, science, space, ran simulated shuttle missions, listened to astronauts and had a blast (no pun intended). After you listen to the podcast, check out the pictures and video from this great week. 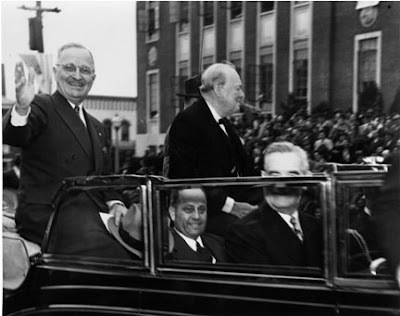 At the U.S. Rocket and Space Center in Huntsville, Alabama they have a Space Shot ride - similar to ones you may see at amusement parks - which simulates a launch. This ride gives the rider the experience of 4G's. I rode it twice - once I had someone film it from the ground, the second time I held my Flip video camera to record what it looks like from the seat of the ride. 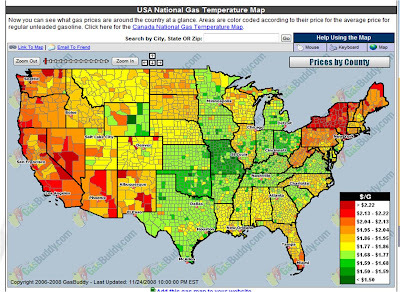 The following presentation was a featured session at the 2008 Summer MACE Conference in Bonner Springs, Kansas on July 24, 2008. Hello. Today I'm including a link to the wiki that I'll be using today to teach a workshop at MACE (Mid-America Association for Computers in Education) Conference in Bonner Springs, Kansas. I will be teaching two workshops on the basics of creating a podcast - each three hours in length. I set up a wiki to help organize the links we will be using and make it easy for me to add more links and material later. Microsoft's Kathy Richardson and myself at the Zune section of the Microsoft booth at NECC. Hello. Today's podcast is the audio from my presentation last week in San Antonio at NECC. I gave my presentation on the second day of the conference at the Microsoft booth and described the Zune pilot I completed with my 8th grade American history students. It was a busy exhibit floor at the time of the presentation and there is a lot of background noise but I think it is still audible. The Zune pilot I completed at South Valley Junior High School - along with the pilot which took place at Fort Sumner High School in New Mexico - has been featured in an AP story which was picked up by various media outlets including CNN. 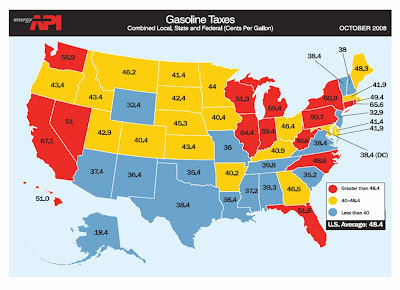 The presentation is also available in video format thanks to Texas teacher Kyle Stevens of the Final Curve blog who recorded it and posted it to YouTube as two videos. Thanks Kyle for taping and posting the videos. I have embedded the videos below.